The best traders out there are the ones who can learn and master simple price action strategies. There is truly no reason to over-complicate things in Forex. The best way to be profitable is to learn to read charts, understand the market and apply these skills to simple strategies. Your psychology as a trader is one of the most important factors in becoming a consistently profitable trader. Trading psychology is an essential discipline that needs to be understood by everyone who points toward long-term success in the financial markets. Self-mastery and emotional control are fundamental to achieving consistency when trading. Euphoria and fear are powerful enemies to the rational decision-making that should be guiding our trading choices. The markets are unforgiving, and emotional trading always results in losses. Successful traders have rock solid discipline. Trading opportunities are endless; capital is not. The best traders have no ego. THERE IS NO HOLY GRAIL!!! You will never find a strategy that is correct 100% of the time. It is absolutely essential that if you are still looking for this, you stop. It is the biggest hindrance to your success. In any given trading plan, all you are looking for is an edge. Most strategies yield profitable trades around 70-75% of the time. Even with an R: R of 1:1, you can still make a lot of money! It’s essential that you set levels where your trade will automatically close out at your target profit level, or close at a loss to ensure that your losses don’t spiral out of control and to protect it in the event of sudden price changes. These are the Take Profit and Stop Loss levels. They are also necessary for the purpose of calculating your Risk/Reward Ratio. There’s also the option of setting a Trailing Stop, whereby the stop level will trail behind the current market price at a specified distance. If you use a stop loss, it is saying you have no idea what you’re doing. This can never be the case if you’re going to be consistently profitable. The only time you should ever use a trailing stop is when a position exceeds your original profit target, and also went beyond any potential reference points (levels in the market where the price has recently been). 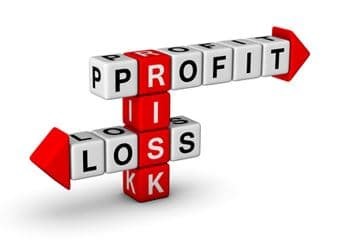 Managing risk and money is an essential aspect of becoming a consistently profitable trader. Ultimately it comes down to sustainability and psychology. A key rule of thumb is to never risk more than 2% of your account balance on any given trade – no matter how confident you are that you’re right! If you’re a day trader, you’ll take losing trades every day, and often a chain of losing trades. How about losing days? Losing weeks? If you’re planning on staying with it for the long run, at some point in your career, you’re inevitably going to sustain a large number of continual losing trades. You need to ensure that your account does not suffer as a result, to be sustainable. Not only is it about making sure that your account is not diminished, but it’s also about being able to recover your losses. As an example: if your account is reduced by 30%, you then have to earn another 43% just to get it back to the original amount. Additionally, if you’re risking a significant percentage of your account, you can’t be indifferent about a trade. Nobody likes losing trades, but you’re not going to worry too much over 2% whereas you’re certainly going to worry about losing 10%. This inability to be indifferent can cause psychological issues, as you might be inclined to manage the trade while it’s open, in fear of losing money and therefore make mistakes. You should never risk money that you can’t afford to lose! You may well have seen this phrased in different ways on articles, videos and adverts as it is a mandatory disclosure – but it is still so important! Even if you are 100% confident that your strategy is profitable, it still hugely affects your psychology as a trader and can create significant problems. You can’t be indifferent and look at a trade objectively when you are risking money you know you can’t afford to lose! You may not realize it, but your net exposure to the USD is 100% Long. That is to say, that each of your positions will make a profit if the value of the USD goes up, or lose money if the value goes down. You should always be aware of your exposure (there is an exposure chart on MT4) so that you’re not overexposed to one particular currency in the event of economic data releases which can affect the value of a currency very sharply. As long as you are not trading on small time frames such as M1 and M5 and managing risk correctly, then you shouldn’t encounter any issues. 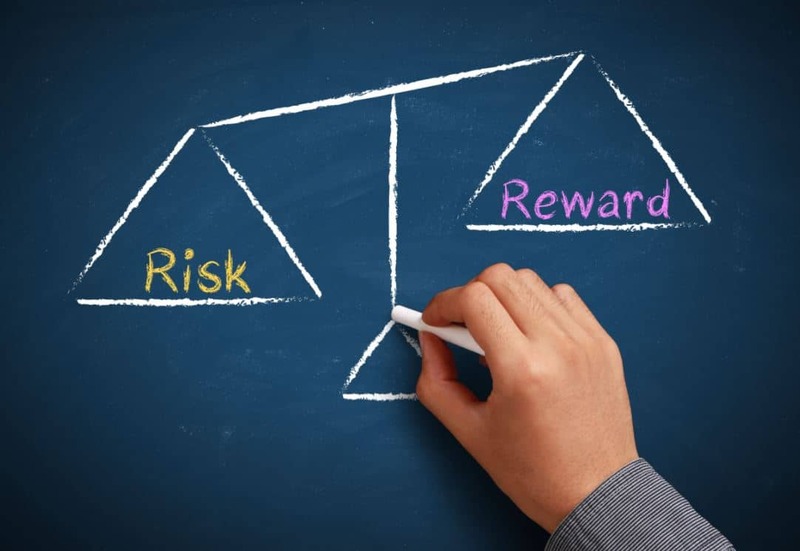 The Risk/Reward Ratio is a frequently overlooked aspect of risk management as a whole. Deciding whether or not the risk is worth the reward.